The former US president also had words of praise for the "Communist" chief minister E.M.S. Namboodiripad. New Delhi: While John F. Kennedy, the 35th president of the US, cast himself as a staunch opponent of communism throughout his political career, a 1957 speech by the then Democratic senator suggested that he did not always believe communism to be evil and worth nothing. The two-page typed speech, dated and titled ‘New York Herald Tribune Excerpt – Oct. 29, 1957 on Communist Situation in Kerala’, focuses on the impoverished situation in the Indian state. It notes that despite a literacy rate of around 40%, the unemployment rate was high and more importantly, the wages were abysmal . “.. more than 1,250,000 of Kerala’s people are chronically unemployed,” the speech notes. “Wages are miserable”, the former president wrote, with a school teacher receiving a monthly salary of about $12-24 and an unskilled labourer receiving 32 cents a day. He further notes that given these issues, and due to the presence of the Congress party in the state – which at the time “had been discredited by corruption, nepotism and inefficiency” – the communists had come to power. 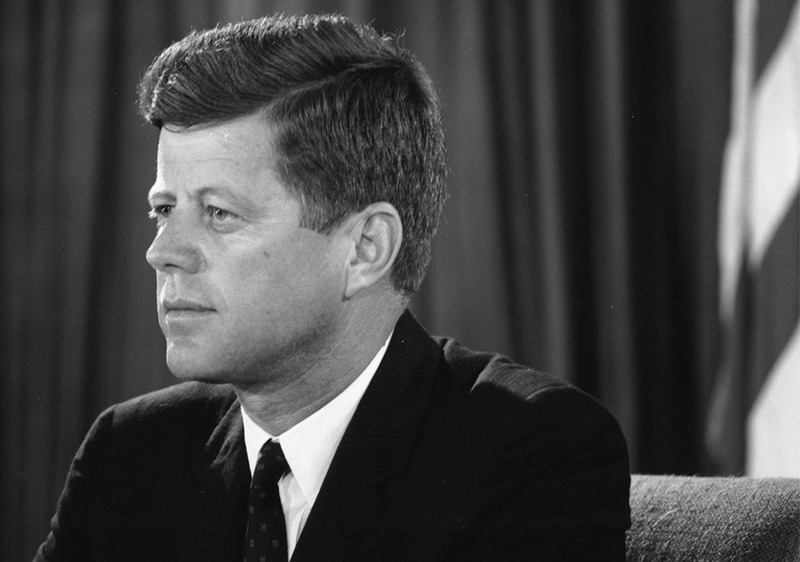 Taking an unusual pro-communist stand, Kennedy goes on to say that while communists may have made mistakes since taking office, “they have given the state a more honest and hardworking administration than their predecessors”. The draft, however, soon afterwards adds that communism in this situation, has a “deceptively innocent look” and that “some short-memoried Indians forgot that these well-mannered administrators only a few years ago were supporting actively or morally the bloody Communist insurrection in the Telangana region of South India”. The failure of the uprising and the many lives that were lost is what convinced the communists that “India was not ripe for violent revolution”. But even with this, the document as a whole is proof that the former president saw some good come out of Kerala’s communist government – a belief coming from him, is surprising, to say the least.